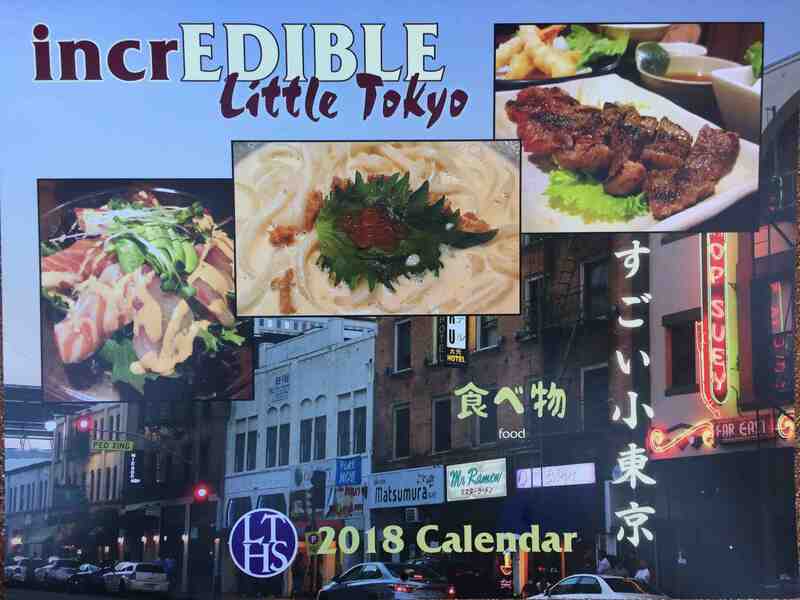 If you are searching for a unique holiday gift, the Little Tokyo Historical Society’s (LTHS) 2018 calendar, “incrEDIBLE Little Tokyo,” is available throughout Little Tokyo. Luscious photographs and mouth-watering narratives of unique foods and eateries of Little Tokyo are featured each month. To name just a few: miso-glazed black cod (Tamon), vegan sushi rolls (Shojin), high tea sets and 300 teas (Chado Tea Room), and wagyu steak, yuzu, shiitake, shishito and mizuna pizza (Baldoria). Foodies will love everything about the design, including a food and eating-related Japanese word of the month. The 2018 edition is dedicated in memory of Mae Matsumoto and Archie Miyatake, who were two beloved cultural pioneers of Little Tokyo. The calendars are available at Bunkado, Japanese American National Museum store, Kinokuniya Bookstore, and Rafu Bussan, as well as Vroman’s Bookstore in Pasadena. The calendar is an annual fundraiser for LTHS and can also be ordered at www.littletokyohs.org. LTHS is an all-volunteer, nonprofit community-based organization that focuses on researching and discovering the historical resources, stories and connections of sites, buildings, and events related to Little Tokyo as an ethnic heritage neighborhood of Los Angeles.